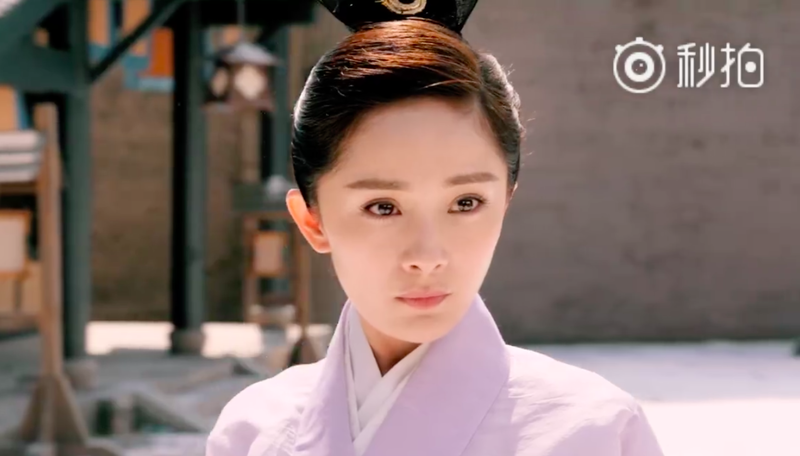 It's amusing to encounter all the random Easter eggs on Only Side By Side With You 南方有乔木, and there was a fun one in a recent episode (ep 30) of the show that features Yang Mi from the upcoming Legend of Fuyao. Both dramas are produced by Linmon Pictures, which explains the move to self-promote. In the scene, one of the characters is chilling in the office with a face mask on while trying to watch the trailer for Fuyao. The whole thing lasts a good minute and a half until the lady is interrupted by a hunky Li Xian who flashes a huge grin at catching her in the act.